Hi everyone! 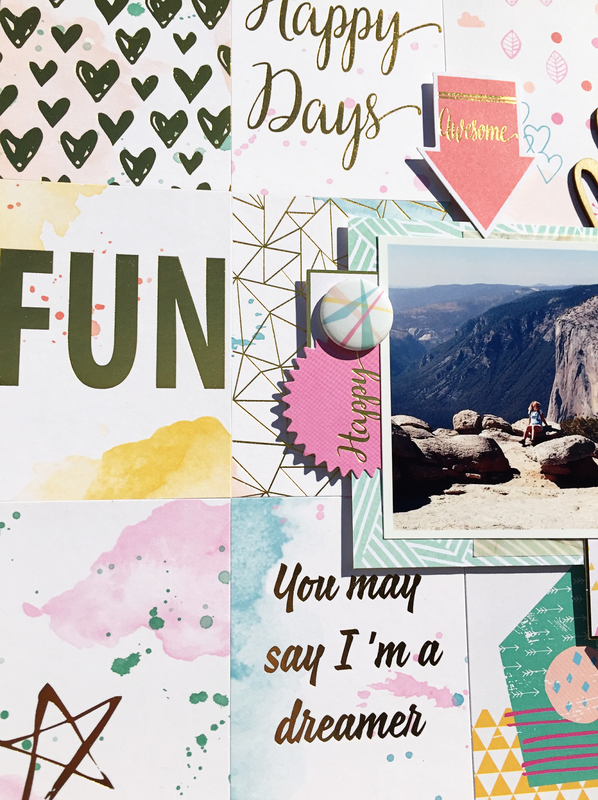 Today it's my turn on the Clique Kits blog again and I've made a layout with the adorable Pinkfresh Studio journaling cards from the April Happy Everything kit. 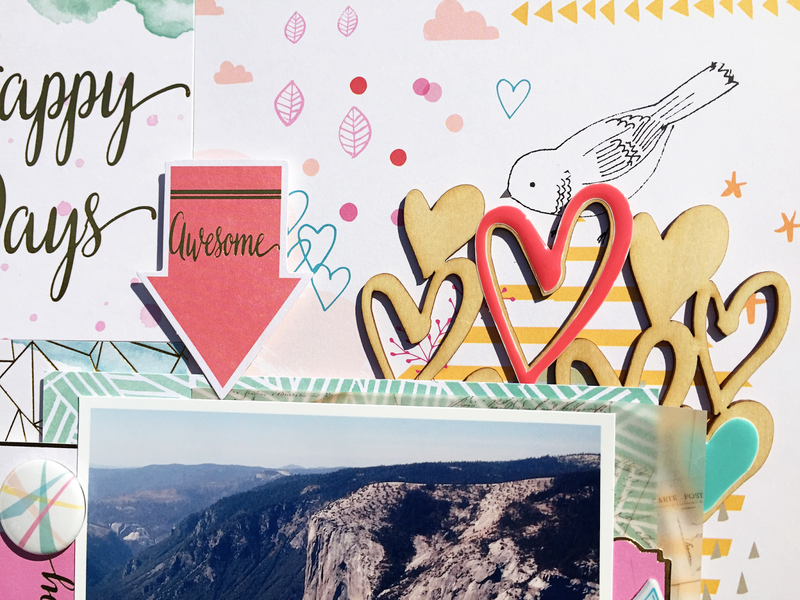 These cards are perfect to create a background with, so I covered the left part of my background with six of the cards and the right half of the page with one of the beautiful papers. 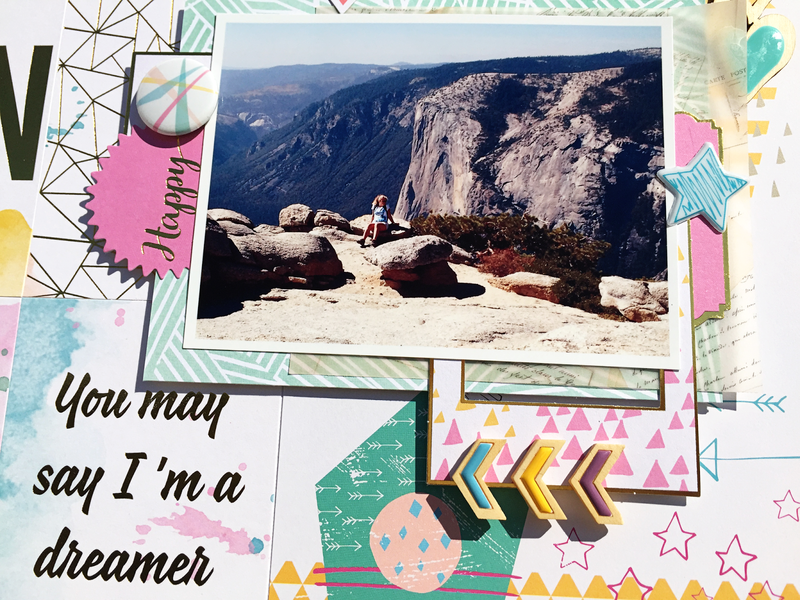 The Clique Kits are amazingly beautiful each and every month. If you want to be part of the Clique and ensure yourself to receive a kit each month, you can get your subscription overhere. Love how you used those cards on your layout. Nice layout.